Cosmetic dentistry is not the only treatment we provide. We believe in our motto very strongly "To be informed and to have the choice"
Cosmetic Dentistry – The Whyte House Dental Practice is a leading cosmetic dentistry practice in the South West, headed up by an award winning principal practitioner Dr Grant McAree; putting customer care at the forefront of all our work, we offer a complete range of Cosmetic and General Dentistry treatments. This includes the latest innovations in Teeth Straightening Invisalign, Dental Implants and Facial Cosmetics in the form of anti-wrinkle and line reduction injections. We believe in creating beautiful, natural-looking teeth, custom-made for you and your smile. We can achieve this by combining the latest in dental cosmetic advances with our experience, knowledge and expertise. Depending on the treatment, we can provide you with a preview of your proposed new look before treatment even starts, thanks to advanced technology and software. This means you’ll be able to see how the treatment will positively transform your smile. Cosmetic Dentistry is not about the treatment. Is it about you the patient and what you are looking to achieve. Our ethos of preventative care and conservative treatments is extremely important and lies at the heart of everything we do. We use minimally invasive techniques whenever clinically possible, and take great pride in our dentistry, providing you with a professional, ethical and affordable service in a relaxed environment. Since we opened our Topsham Practice in August of 2007, our main focus has been on cosmetic dentistry, whilst still providing a complete range of general dental services and treatments. 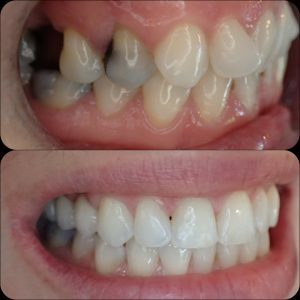 As the cosmetic genre within dentistry has increased in popularity, we have found more and more patients, who have attended the The Whyte House Dental Practice for the cosmetic side of dentistry, have also switched to us for their routine check-ups, hygiene, and other general dentistry requirements. At The Whyte House Dental Practice, we aim to achieve the best orthodontic results for each of our patients and because every smile is unique we need to take an accurate impression of your teeth and jaw to plan the very best treatment. We achieve this by using the iTero digital scanner. Forget having to bite into trays slathered in a sticky clay-like material, the iTero digital scanner enables us to download a digitalised impression of your teeth and jaws in moments, allowing us to put together a more informed treatment plan for you and start your journey towards the perfect smile. At The Whyte House Dental Practice, we are proud to use the latest orthodontic technology for the benefit of our patients. That’s why we’re the only dental practice in Exeter to have an iTero digital scanner. This state-of-the-art technology enables us to take an accurate 3D impression of your teeth. We understand the importance of family oral health, and how the financial aspect of this could put some families off attending the dentist. Our pricing structure has been specially designed to allow you to be treated under a private plan or independently, with reduced rates for children. If you have any questions with regard to costs or treatments, please feel free to contact us. Please click opposite to watch our video where you can see the Practice and hear from some of our Patients.